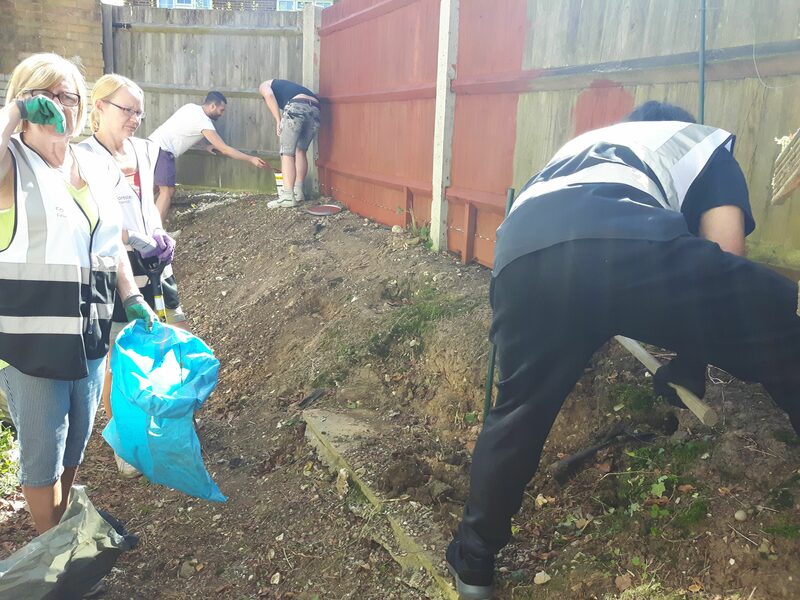 In the summer, we were approached by a Bromley company, Foresters Finance, to ask if we had any projects some of their staff could undertake as part of the companies’ support for a local charity. 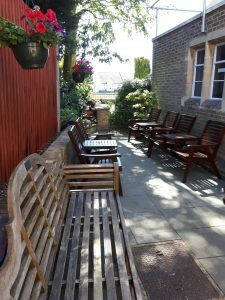 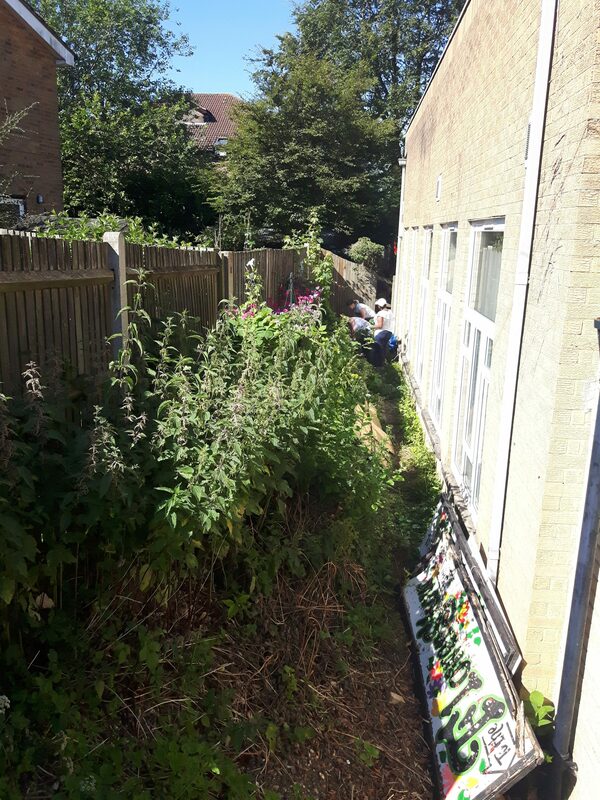 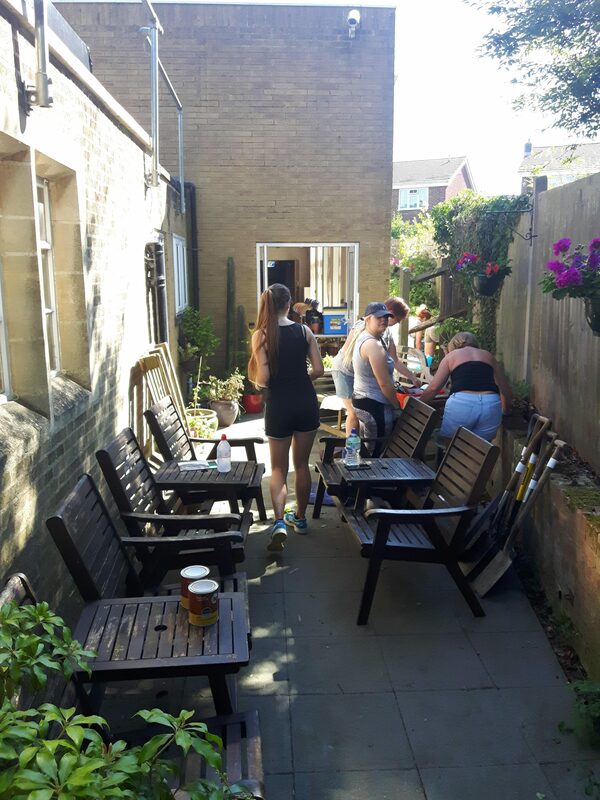 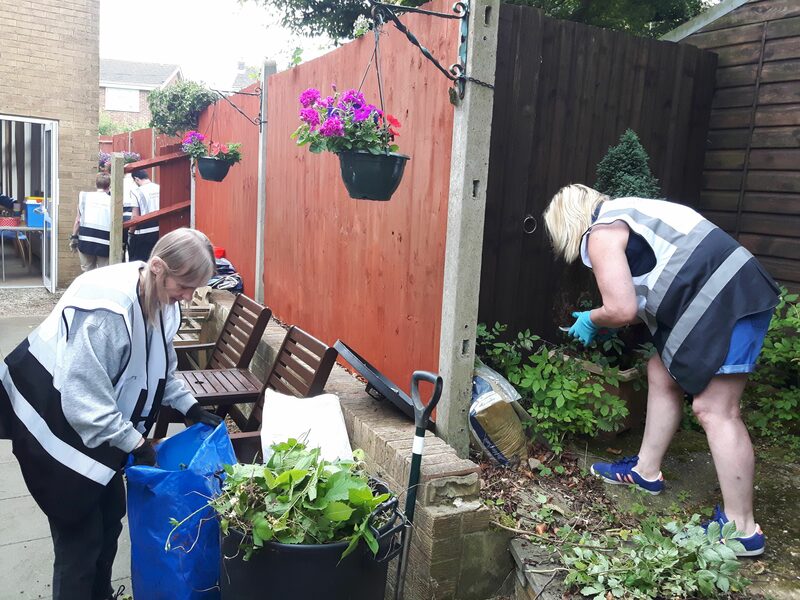 The garden outside of the Church Hall had become very overgrown and the furniture in the garden area used by the members of the Day Centre was in a very bad state, so we asked them if they would be willing to renovate the furniture and rescue the garden. They duly agreed and last week we had 24 different volunteers over 3 days – which was a lot more than the one or two we had thought would be coming! 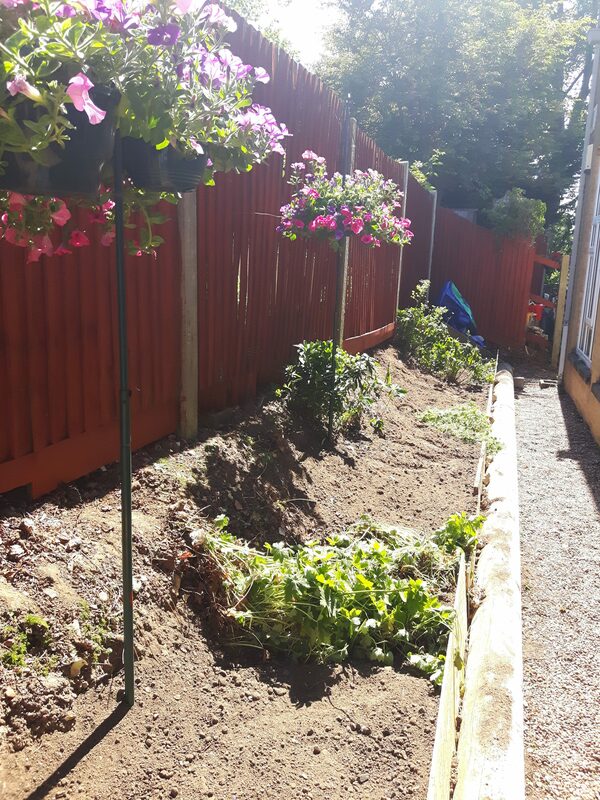 They soon got to work and despite the very hot weather, did an amazing job – the garden jungle became a pleasant area which is now ready for planting, and the garden benches look almost new, not to mention the freshly painted fencing! The volunteers filled about 20 plastic sacks with weeds, brambles and rubbish and moved 2 tons of soil onto the flower bed. 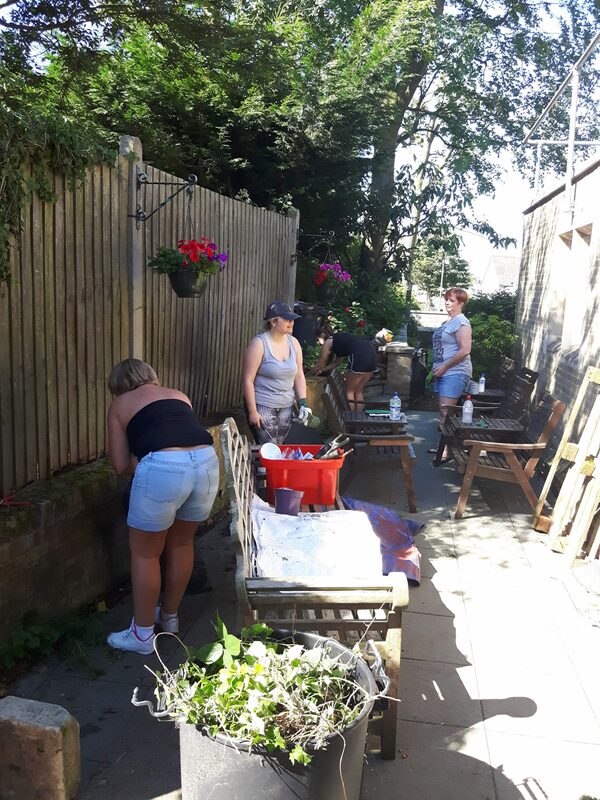 We are very grateful to all of the team that came from Foresters, and I know the Day Centre members will enjoy the much improved surroundings. 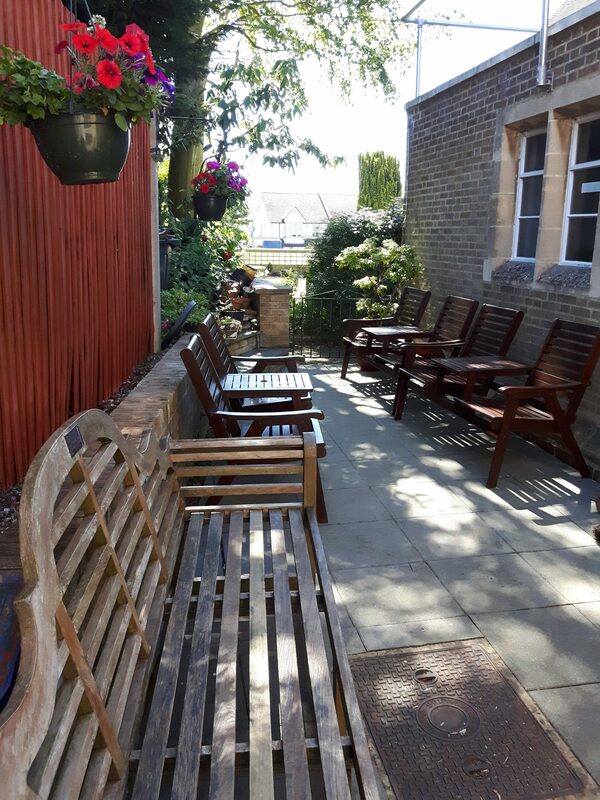 Anyone using the hall in daylight will also appreciate the improved view. Our thanks also go to Waitrose who donated some money towards the lunch we provided for the volunteers.